A key factor in the increased popularity of high-speed hand dryers, says Jeff Culler, New England regional sales manager at Steibel Eltron of West Hatfield, Mass., is their green/sustainability capabilities. As more facilities look to green their operations, a high-speed hand dryer proves itself to be an excellent place to start. While conventional units once required special circuitry, today’s high-speed systems tap into standard voltages and use up to 80 percent less energy. 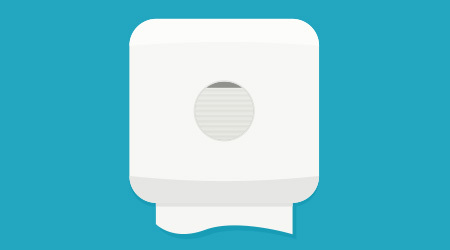 The primary reason why only 10 percent of the restrooms utilized hand dryers previously is people claimed they took too long to dry their hands. But because newer units are both quick and effective, these dryers are used far more than ever before, all the while, using less energy and contributing to green goals. But be aware that not all high-speed dryers are the same. Some take longer to dry than others. Gagnon explains that air stream can be measured in two ways: the area of the airflow and the linear feet per minute. Conventional dryers fan the air out, while high-speed hand dryers target the flow of air into a linear path. All of this translates into significant energy savings, adds Knapp, who points out that conventional hand dryers consume approximately 1,800 watts of power, whereas their high-speed counterparts draw just 1,000 to 1,200 watts. And if the facility opts not to use the heating unit in the dryers, the power usage may drop to just 750 watts. These benefits make the units efficient from both an environmental and budgetary standpoint. Emphasizing the environmental attributes, Storto elaborates, saying the production of paper towels is twice as energy-intensive as that of drying units, and creates more greenhouse gasses.